Joan Burkett was always inspired by her father's green thumb. He kept a small garden wherever he lived and especially loved Fragrant Cloud, a beautiful orange rose. Spanning the last 51 years, Burkett and her husband Don's award-winning rose garden in Damascus has grown from eight rose bushes to 198. And while roses are the garden's crown jewel, the wooded setting features a variety of plants, fountains and other hidden gems. "It's the kind of garden that reveals itself as you walk through," Burkett says. "It's a work in progress — always evolving and changing to adapt to new ideas and interests." 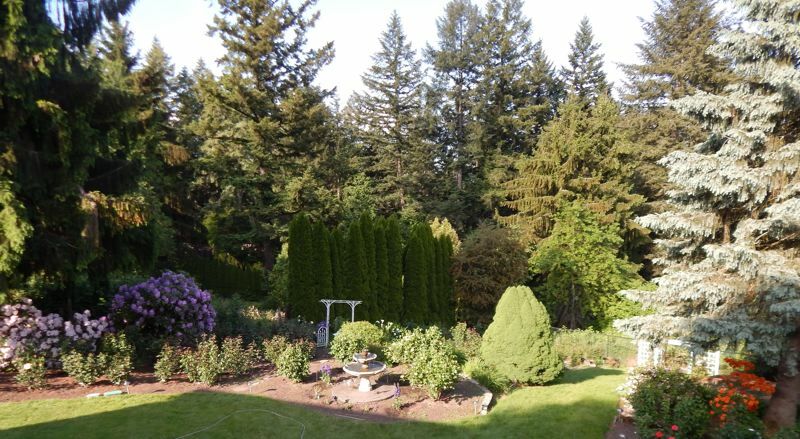 The Burkett residence is one of four homes that will be featured in the North Clackamas County garden tour Saturday and Sunday, June 23 and 24, presented by the Multnomah District Garden Clubs. Garden tour attendees will have the opportunity to stroll among various styles of gardens, from country to formal. The tour will also highlight gardens designed for entertaining. 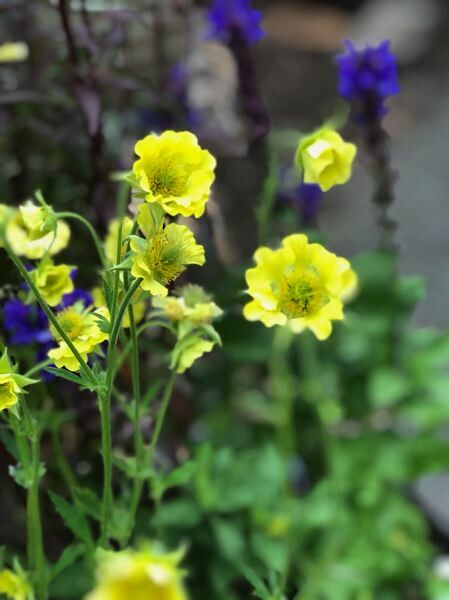 Burkett loves a gardening phrase that has been featured in the garden club newsletter: "God made rainy days so that gardeners can get housework done." 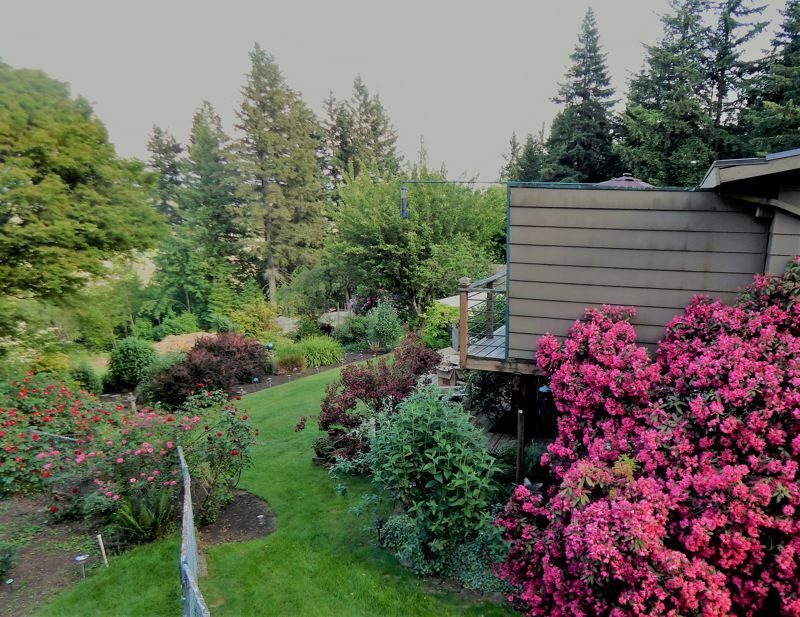 Years ago, when the Burketts traded their swimming pool for some work to be done on the house, it left a gap in their yard. They decided that it would become their rose garden. "Over time, it's grown into this beautiful space — it's a love we've developed on this property," Burkett says. Along with enjoying the garden and refreshments in her backyard, Burkett hopes gardeners will be inspired to buy quality rose bushes. "Roses bloom for five months out of the year as opposed to plants such as azaleas or rhodies," Burkett says. "When you buy a quality rose bush, you're buying a plant that will last 10-15 years and continue to bloom every year. Roses are a little extra work but not like people would imagine — it's a very good return on investment." Following the Burkett's garden tour, attendees can meander to Ralph and Theresa Wooden's, an entertaining oasis centered around their swimming pool and hot tub with an expansive view of the mountains. The next garden belongs to Saundra and Henry Rossi, featuring charming container gardens and a large vegetable garden that grows prize-winning cantaloupes. After retiring from teaching in 1995, Saundra Rossi was tutoring and seeking other retirement outlets. Upon the invitation of a friend, she attended the garden club and was hooked. "I would say our garden is a learning garden — a nice, restful, peaceful place to be, great for reading books, drinking soda and listening to the fountain gurgle," Rossi says. "It's very folksy and homey." Next to the Rossi's home is their son Darrel and daughter-in-law Brenda's garden, reached by a winding path. Designed for entertaining, the large garden has been opened to family weddings and anniversary parties, with festivities taking place throughout the garden. "I hope that people come away energized or re-energized to go home and love their gardens," Rossi says. Where: Tour addresses and directions are available upon ticket purchase. Tickets may be purchased at Boring Bark, 30265 Oregon Highway 212; or Al's Garden Center, 7505 S.E. Hogan Road, Gresham. Organizers request no pets, please.